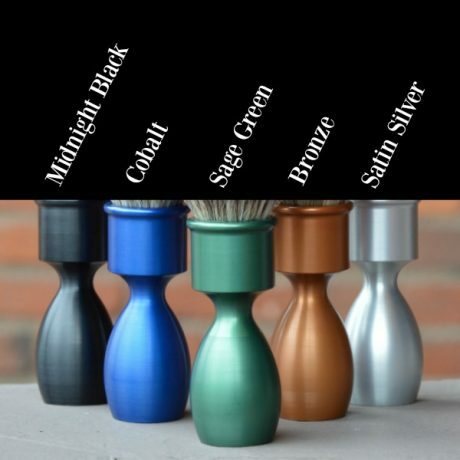 We have been crafting fine shaving brushes and introducing people to wet shaving since 2009. Creating this brush has been a wild adventure, so we thought it only fitting to name it after the Journey to get here! “The Journey” is our very own Canadian-manufactured shaving brush and we’re confident you’ll love it! 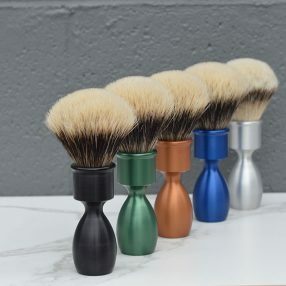 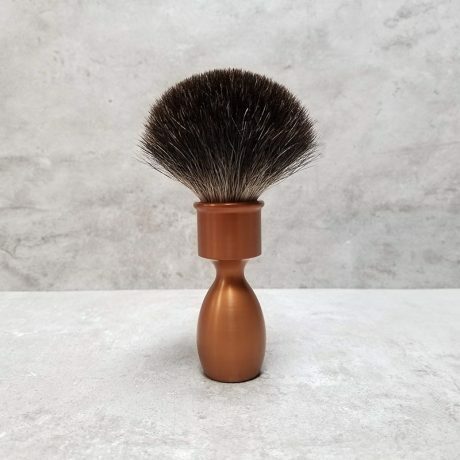 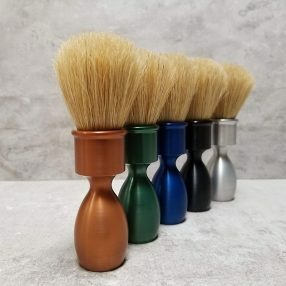 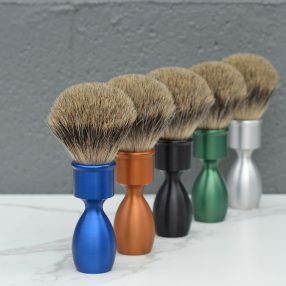 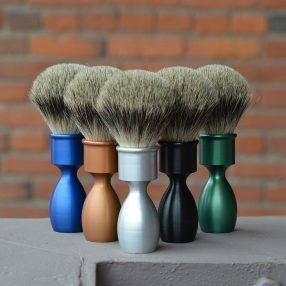 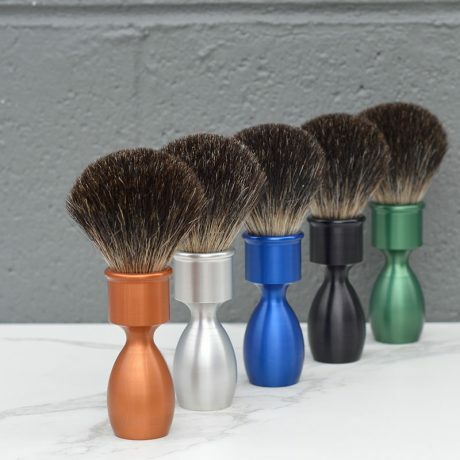 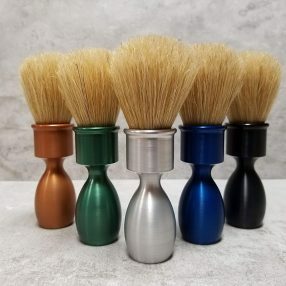 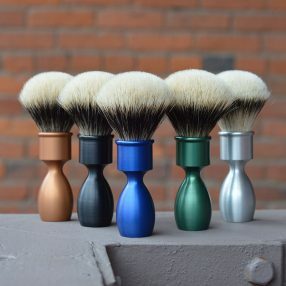 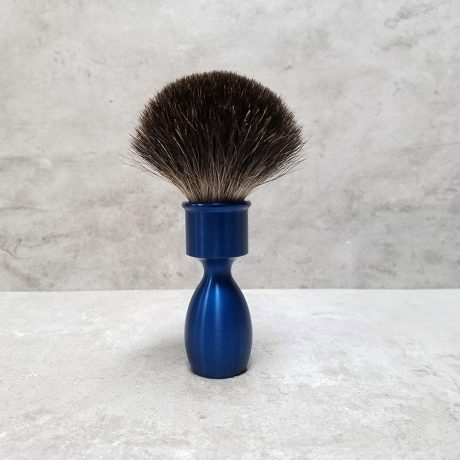 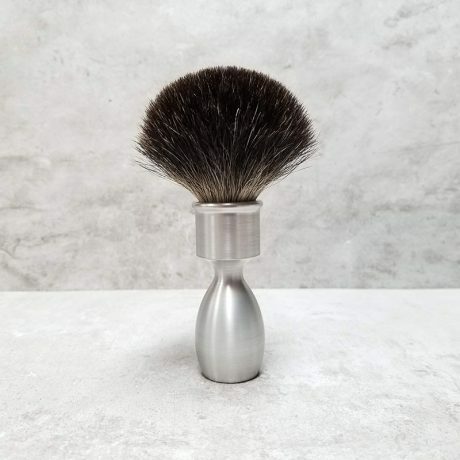 This shaving brush features a heavy-duty anodized aluminum handle with a modern, easy to hold shape. 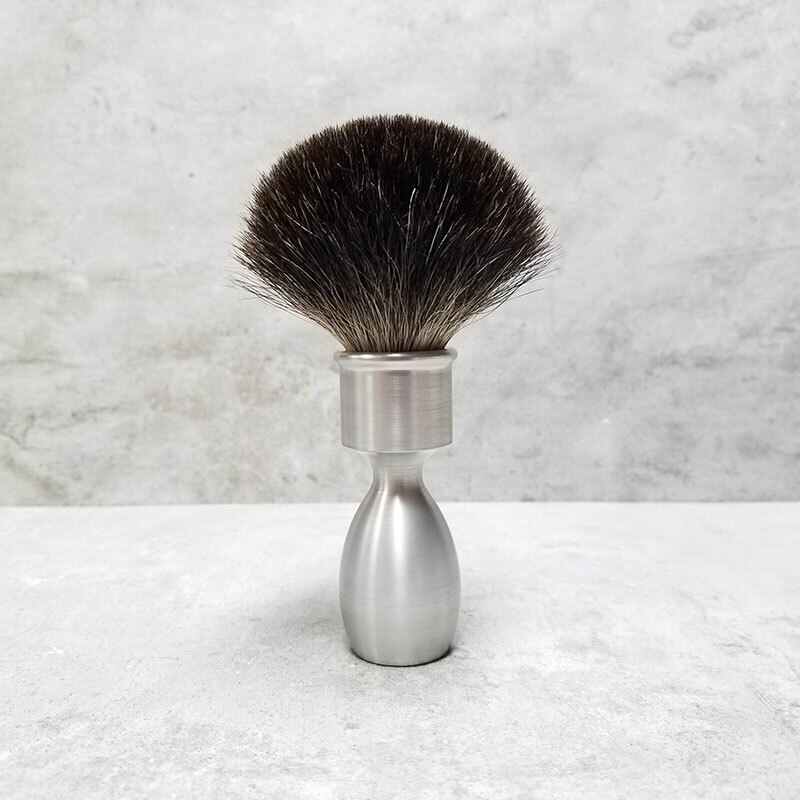 We’ve designed this brush to easily whip up a thick lather in both shaving creams and soaps. Each brush handle is manufactured, anodized, and engraved at small, Canadian shops. 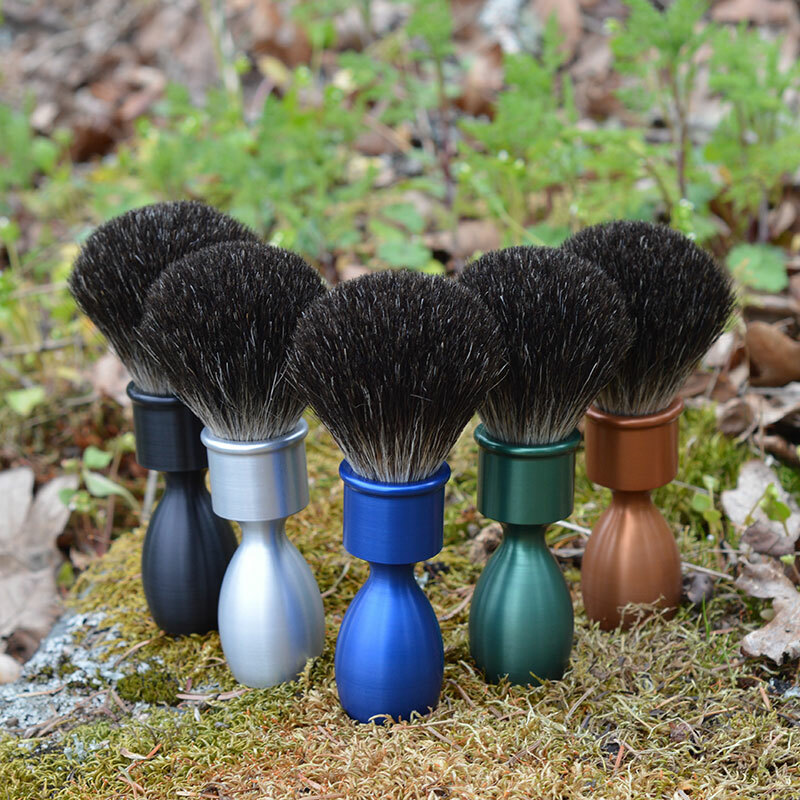 Then we set the handles with the highest quality of badger hair, synthetic bristles or boar hair available. 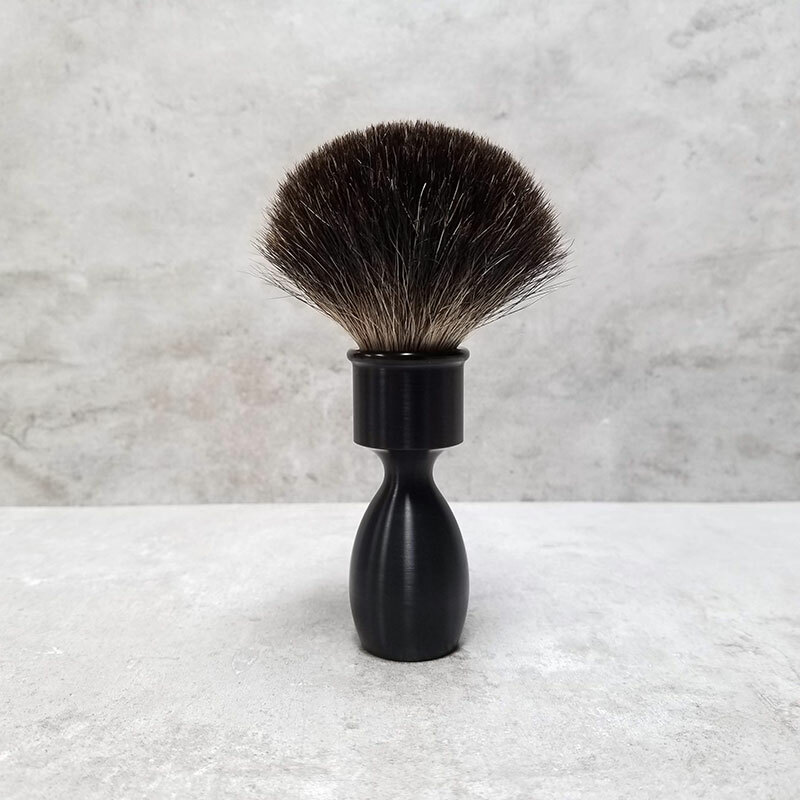 This brush is set with black badger hair and is suitable for face and leg shaving. 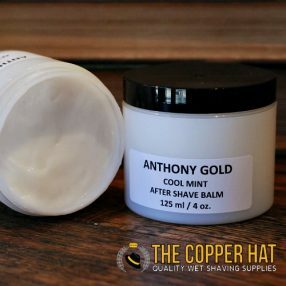 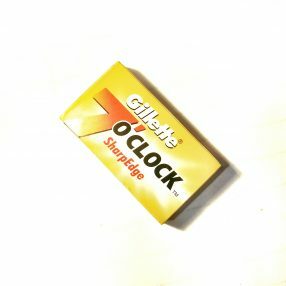 It exfoliates quickly and may be too coarse for those with extremely sensitive skin and those who shave daily. You can find out more about shaving brush hair types here. Thank you for supporting small, local businesses and craftspeople like us! 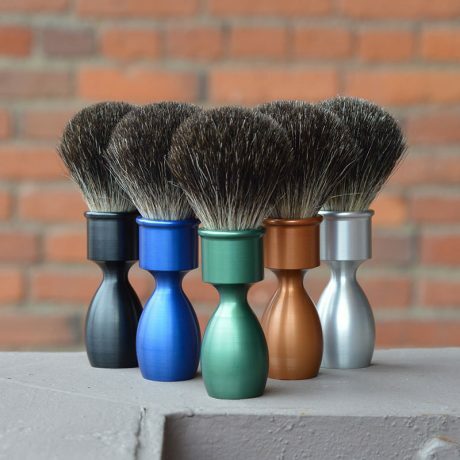 Happy shaving!